Medical Claim Processing Automation Solution is beneficial for Healthcare provider and Payers aimed at accomplishing complete automation of claims processing and faster access to customer information without having to compromise on security of private medical information. The software is useful in reducing costs related to claims processing, utilizes a single platform for all the data sources, workflows to route claims for review & approval processes and enhance consistency & timeliness of payments. As per National Health Insurer Report Card, AMA, 2011, elimination of claims errors is going to save $17 billion annually. Automation reduces paper storage & document retrieval costs while complying with regulatory standards like HIPAA. Meanwhile, Health insurance payers are investing in these claim processing automation system with focus on interoperability and faster release of new products instead of just enhancing efficiency of claims processing. These flexible systems are able to create new benefit designs with great ease and provide integrated health management and should also have inherent flexibility & agility so to adjust to changing marketing conditions. Who are the key players in Medical Insurance Claim Processing System? In order to tackle the details pf medical billing & coding process, it is first vital to understand the relationship between insurance firms, healthcare providers and policyholders. Policyholders – Well, a policyholder is the one who purchased health insurance. Like suppose, a young professional is looking for a basic insurance plan can purchase a policy where their insurance provider firm will be paying for all medical bills that costs more than deductible, which is a pre-decided amount that policyholder will be required to pay out-of-pocket prior to insurance coverage kicks-in. Insurance Companies – These firms sponsor medical care for qualified patients, known as policyholders. Even though health insurance is not mandatory is USA, still a number of Americans have insurance coverage, which is maybe purchased privately or is obtained from their employer or government. Now the insurance policies may vary, but all of them operate under same business model: a specific amount is paid each month or year by policyholders to the insurance company, and it is called a premium. In case, the policyholders require procedures for which they qualify, then the amount for that procedure is paid by insurance companies, either in part or in full. Healthcare Providers – This is any practice or facility where the patients are billed for a service or a product related to the personal health. This group of healthcare providers consist of private clinics, hospitals, pharmacies and also specialized care providers, such as nursing homes, in-home caretakers & chiropractors. How does Medical Claim Processing Automation Software works? As soon as a medical claim is submitted by a healthcare provider to a payer for reimbursement with the software, an automated end-to-end process is activated, from claim creation to adjudication tracking to reimbursement. Automatically populate claims data into dashboards & reports – There is no requirements to re-enter data manually from other tools into the system before invoice submission. With Claims Draft API it is easier to feed data programmatically. Verification of patient coverage at time of service – No need to wait for week, only to end up receiving a denial owing to inactive coverage. With the help of Medical Insurance Claim Processing System it is possible to verify health insurance coverage upfront and initiate payment recovery workflows sooner. Catch mistakes before claim submission – Remove errors before submitting the claims with the use of extensive rule sets. Understand what claims require your attention – With the help of this software, it gets easier prioritizing your account receivable. The system highlights invoices require immediate attention, such as pending registration, new payments, and recent denials. Why is MediClaim Processing Automation Software needed? This software is highly capable of doing a lot of functioning like providing quick turnaround times for your business objectives, with focus on quality execution. At the same time, it plays pivotal role in reducing the costs associated with policy and medical claims processing. Most insurance companies head for this software solution owing to its enhanced operational efficiency & shorter processing cycle, thus easing out the insurance claims processing and solve problems. Efficiently tracking, fraud detection & tracking re-insurer’s recoverables. Standardizing claims and reducing manual processing & enhancing productivity. Improving Operational efficiency& considerably shorter claims processing cycle. Offers real-time claim adjudication for the professional claims, thus providing clients with an interactive transactional experience. Reduced manual & paper-based transactions & telephonic interactions for updates. Reduced administrative time & processing costs. The firms that file medical claims manually tend to spend $4 more per transaction, depending on size of organization. Then the costs get all the more higher as you factor in the labor cost. Hence, by switching to Medical Claim Processing Automation Software, savings are be welcomed almost immediately. Today the medical & health industry can’t just afford doing things in old-fashioned manner and it has become essential to cut costs wherever possible. It is pretty necessary so to stay competitive and stay in business. For doctors to have efficient administrative solutions is very crucial so they can perform their job in medical and health field effectively. And mainly with insurance policies changing constantly, control needs to be taken on every aspect that can be controlled. And keep in mind that most of the cost comes from administrative department. How Electronic Medical Claims Processing has advanced over the years? Meanwhile, electronic medical claims processing technology has been there since quite some time, however over the years it has changed a lot for the better, with Optical Character Recognition (OCR) being a great advancement. It is just great in decreasing the chances of costly mistakes made while coding & filing. OCR does this brilliant job of scanning documents, electronically isolating, and then records information contained in the fields. It is also great in auto-filling information. This way, a human is still involved in the processing but that is to review the processing and to ensure accuracy, instead of being entirely responsible for it. In case, a medical code is not coded properly, then the error is reported by the specialist filing the claim. This way, the check and balance procedure saves money, time and frustration for medical professionals and administrators. In fact it is so efficient and effective that the medical institution simply cannot afford to miss out on this kind of system. What are the features of Medical Insurance Claim Processing System? Data entry of patient demographics, such as referring physician, ICD & CPT Codes, and Modifiers is entered into medical billing software. Scanning documents for errors in billing and then correct them in required. What are the benefits of Medical Insurance Claim Processing System? Increases Clean Claims – It is time to experience clean claim on a regular note with Medical Claim Processing Automation Software. Its claims validation technology flags the problem areas prior to a submission is made. Electronic Claims Submission – No need the need for never-ending thread of phone calls, emails, and faxes that overcomplicate healthcare invoicing with submission of claims electronically. Real-Time Status Check – With real-time claims status check things get significantly easy as the software is efficient at sending requests to one of the many hundred payer connection and receive response just instantly. Easily monitor & manage account receivable – Here, in the system, ERAs and payer responses are linked to corresponding claim file. This way it gets easier to manage and monitor account receivable. How to ensure Data Security in Medical Claim Processing Software? For nearly two decades, HIPPA has been significant in keeping patient information safe, however, going by the present demand od today, we need to move further into a technologically-driven world, where HIPPA might not be enough to keep patients’ medical records and data safe. In a survey, 90% of medical institutions reported a data breach, with some reporting as many as five separate data breaches. With Patient satisfaction being crucial in healthcare, it is vital to ensure data security with modern technologies and methodologies, with one with GDPR. For the understanding,General Data Protection Regulation (GDPR) is a regulation which involves EU citizens to avoid leakage of personal information starting by May, 2018. It is a legal framework setting guidelines for the collection & processing of personal information of individuals within the European Union (EU). The GDPR sets out the principles for data management and the rights of the individual, while also imposing fines that can be revenue based. It is vital that healthcare institutions take the right steps to ensure that they are able to comply with new requirements of GDPR. This will help these organizations in building and maintaining the trust and confidence of their customers, patients, business partners and other individuals whose personal data they collect and process and to avoid breaches of relevant data protection rules. How Electronic Prior Authorization (EPA) is helpful? EPA is a process where an insurer or a payer decides upon the necessity of a prescription drug, medical service or medical device is necessary and accordingly approves the treatment. In case of emergency instance, this authorization is not required, otherwise it is vital to meet this prior approval before the health plan will be allowing the patient to obtain treatment. As of now, nearly the entire payer industry with leading market share is committed to EPA and is bringing additional lines of business onto their electronic solution.This way, payers create greater access for providers and decreases turnaround time; however a lot of work still needs to be done for each payer to get every line of business on EPA and increase usage of auto-determination functionality. 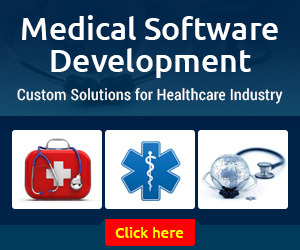 How to choose right Medical Claim Processing Automation Software Development Company? It will take no time for the entire health industry to benefit from automated medical claim processing. The reduced financial burden which comes with the usage of this system is absolutely worth it. This is why more and more healthcare professionals are switching to the system and seem entirely pleased with results. 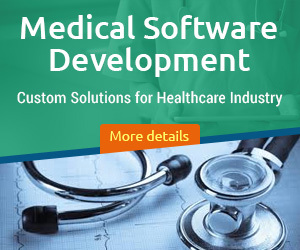 Once you are sure that the Medical Claim Software Developers will be able to provide you with these essential features, you can go ahead with the development process. What is the cost to develop a Medical Claim Processing Software?